One of Portland’s more upscale neighborhoods, Laurelhurst contains many sweeping, lovely single-family homes. Breaking Portland’s traditional grid pattern of streets, the avenues in this neighborhood wind gently around through parks and residential enclaves. The center of the neighborhood is crowned with a golden statue of Joan of Arc, around which winds Coe Circle, a huge traffic circle. The neighborhood sits in both Southeast and Northeast Portland. Houses in the area tend to be rather grand. 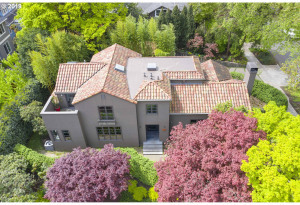 Although smaller homes in the Craftsman and Old Portland style abound in this neighborhood, many of the properties are huge, with multiple stories, fairytale elements such as towers and extra wings, long front walks and sprawling porches. It is not unusual for houses to top a million dollars in this area, nor is it unusual for them to be more laid back in style, though they still normally fetch a fair price. Because people who live in this neighborhood tend to stay for the long term, there aren’t usually many homes for sale. For the dedicated buyer with a reasonable amount to spend, however, the search shouldn’t be too much trouble. 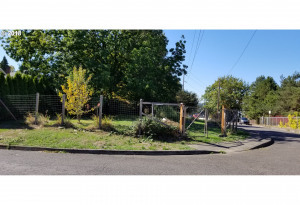 Nearby attractions include Laurelhurst Park, a huge stretch of green space that includes a pond with a lovely little island in the middle, trails winding around the almost-27 acre lot, athletic fields, picnic spots and much more. Families will enjoy living in this neighborhood, which makes outdoor entertainment, exercise, outings, people-watching and sports a breeze. 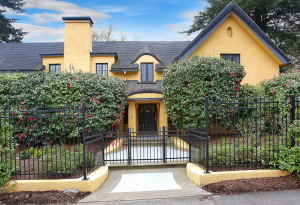 One of Portland’s more upscale neighborhoods, Laurelhurst contains many sweeping, lovely single-family homes.